There is nothing good except someone does it! These words of the poem “morality” from Erich Kästner are the central point of our intention. The aphorism wants to express, that it is only shown in the actions of people whether we are good or not, and that only acting is good. Therefore non-action is not good. In our world the formation begins with a personal intention. From this intention a wish is generated, which becomes a will. And this will leads the action that creates something. What is the intention to create a foundation? Is it the gratitude for experienced success? Is it a sign for future generations or to let live on the own name? Most likely it is the sum of all these parts. But above all, the establishment of a foundation is a sign for the seriousness of an intention. It is a sign for credibility. And it is a sign for taking social responsibility. During the year we are confronted with a variety of requests for help from different areas. By a foundation there is a direction in the support and subsidies will be used target-orientated. So projects can be supported much more sustainable than by donations in many directions. We hope that we create meaningful with our foundation and that we can help successfully in our target areas. Dr. Wolfgang Josef Kuster was born and has grown up in Burladingen on the Swabian Alb. 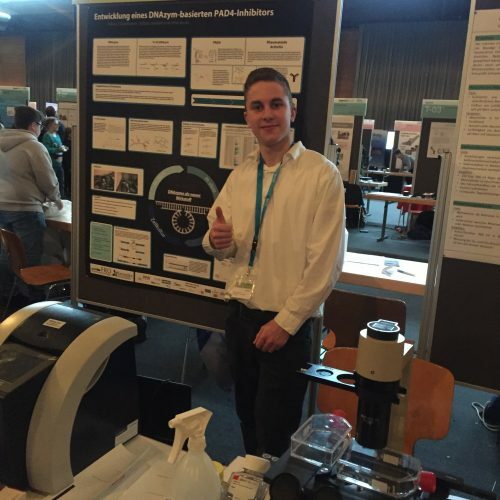 After the Abitur he studied chemistry in Tübingen and Reutlingen and graduated at the University of Tübingen (Prof. Dr. Voelter) with a thesis on peptide synthesis. After studies Dr. Wolfgang Kuster worked at Merck AG in Darmstadt until he became independent in 1989. 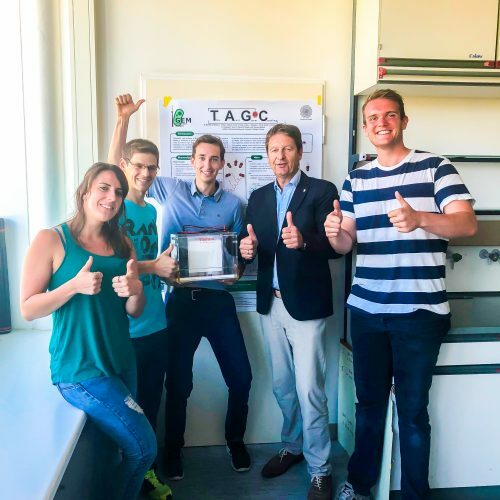 He was the first in Germany who introduced a professional sale of used laboratory and analysis equipment and thereby formed the first trade platform in this area. 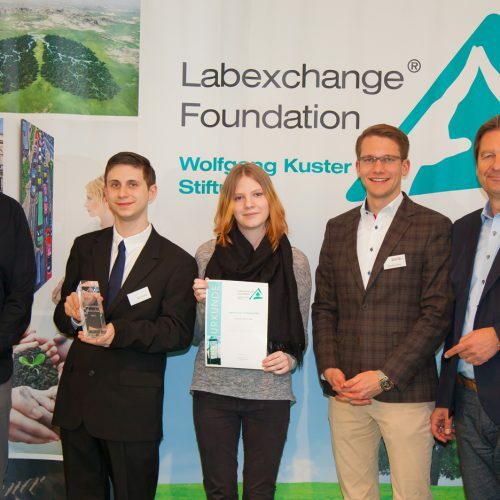 In 2014 his company Labexchange – Die Laborgerätebörse GmbH could celebrate 25th anniversary. For 40 years Dr. Wolfgang Kuster is ambitious photographer and member of the »burladinger maler e.V.«. For quite some time he promotes local sports clubs, culturally orientated clubs and various other organizations. projects and organizations that attend to people in poor countries. The promotion can be made by funds or providing medical, clinical- chemical or analytical equipment free of charge. The foundation regularly awards the Labexchange®-Award to charitable projects in the mentioned areas. We are engaged in the field of health. Not all people worldwide have access to well-developed health and accident care. Because of the close connection of the Labexchange®-Foundation to the Labexchange – Die Laborgerätebörse GmbH we have available a significant potential of equipment. These are especially devices for the clinical-chemical laboratory that investigate human-relevant parameters. We are able to provide the necessary devices and to make them available to the needy organizations or institutions mainly abroad. In order to have always available a wide range, we need your help. Donate the devices that you no longer need to the Labexchange®-Foundation. We will forward them target-orientated to needy hospitals and organizations and we will inform you about their future use. Regionally we support cultural and sports clubs as well as artistic and art-supporting organizations. We are very well versed with laboratory and analytical instruments. Therefore we support institutions and laboratories that have a lack of equipment in order to examine the quality of important environmental parameters such as quality of the water, nature of waste water, air and soil. We promote the development aid in countries that have no means but that have need of equipment and instruments for examination of human and environmental-relevant parameters. As first project was selected the construction of a hospital in Cameroon, which is supervised by the Arbeitskreis Humanitäre Hilfe e.V., based in the Klinikum Landsberg am Lech. In the hospital of Ndoungue mainly the poorest of the poor are treated. In order to be able to make a lifesaving diagnosis, Labexchange® donated the urgently needed laboratory and analytical equipment to Cameroon. A blood centrifuge, a refrigerator for samples sensitive to heat as well as some pipettes now enable the medical staff to examine samples on-site, to make clear diagnoses and thus to realise the right medical treatments. Without these functional, modern and durable instruments the work in laboratory is much more complicated or impossible to make and a correct treatment is hardly possible. The promotion of medical care and the sustainable use of resources at home and abroad are especially important to Labexchange®. The foundation in certain intervals awards the Labexchange® Award. The prize appreciates projects, organizations and institutions that were active in the fields of the promotion targets of the foundation. or administer to the promotion in these areas. Especially worthy of support are fields that are associated with the use of instruments for the chemical analysis, the clinical diagnostics and the medical technology. The Labexchange® Award is awarded, if there are relevant petitions for the promotion or if eligible projects and plans in the sense of the promotion targets of the foundation are found. If you want to support our promotional objectives going on, then we are happy to receive any amount of a donation to our endowment. Contact us for your donation or for your donation or for your questions. I have read and acknowledged the data protection policy. I agree that my data will be stored for contact and queries. Note: I am aware that I can revoke my consent at any time by e-mail to info@labexchange-foundation.org. Your details will of course be treated confidentially and will not be passed on to third parties.